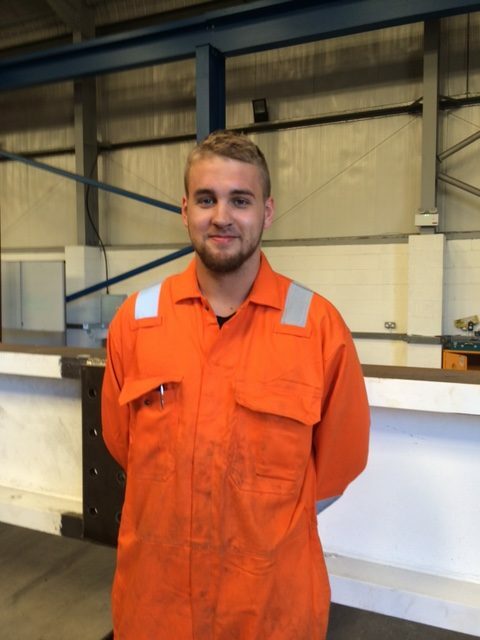 Pro Steel Engineering has appointed Nathan Perkins, 21, as our first apprentice. Nathan will be working towards his Level Two qualification in fabrication and welding while studying part-time at Coleg Gwent. Previously a self-employed labourer, Nathan worked at Pro Steel Engineering and decided he wanted to specialise in a trade. “I’m incredibly grateful to Pro Steel for helping me further my career and allowing me to specialise in a trade. I chose to continue my career in construction as I love the feeling you get from putting something together from nothing. “We’ve wanted to employ apprentices for a while as we’re invested in providing young people with the skills they need for a successful career in construction and doing our bit to fill the skills gap affecting our sector.